Quirky T has previously stopped The Guitar Train to listen to her favorite secular Christmas songs. Here is the new updated list of those fun songs. No Christmas season would be complete without hearing Barbra Streisand’s highly caffeinated version of “Jingle Bells”. It’s as if before the recording of this song, she was told, “Okay, we only have the recording studio for two minutes. As soon as you finish drinking your extra large espresso, we’ll start.” The result must be heard to be enjoyed. It brings me joy every time I hear it. “A Marshmallow World” from the CD “Christmas with The Rat Pack” portrays a lovely winter setting that makes me happy. I wish it would snow enough to re-enact this song. I put Louis Prima in the same category as Lou Monte. Louis Prima’s novelty songs are fun like Lou Monte’s songs. “Shake Hands with Santa Claus” is just a fun, upbeat song. It can be found on the CD “Mob Hits Christmas” which sadly doesn’t contain Lou Monte’s “Dominick the Donkey (The Italian Christmas Donkey)”, another classic Christmas novelty song. That song is on the first “Mob Hits” CD which was released before the “Mob Hits Christmas” CD. There are many versions of the song “Sleigh Ride” but by far my favorite is by The Ronettes. Their version is fast and fun. It cuts out the slow, boring verses and ends with you wanting to hear more. I haven’t heard every single Bruce Springsteen song but from the ones I have heard, he seems to be quite a serious person. What I love about his version of “Santa Claus is Coming to Town” is he seems to be having so much fun. It’s just a happy, energetic rocking song. Ringo Starr’s Christmas song is a new addition to this list. Ringo released a whole album of Christmas songs called “I Wanna Be Santa Claus” in 1999. “Come On Christmas, Christmas Come On” is my favorite song from that album. It is a high energy song which I listen to over and over. As I mentioned in last month’s Guitar Train stop, I wish Ringo had played this song at his concert which I was lucky enough to attend. Guitar Train passengers, what are your favorite secular Christmas songs and why? Christmas greetings to all Guitar Train passengers! To help you celebrate the holiday in a secular way, here is a reposting of Quirky T’s favorite Christmas songs. These are the songs I’ll be listening to repeatedly. No Christmas season would be complete without hearing Barbra Streisand’s highly caffeinated version of “Jingle Bells”. It’s as if before the recording of this song, she was told, “Okay, we have only have the recording studio for two minutes. Finish drinking your extra large espresso and let’s go.” The result must be heard to be enjoyed. It brings me joy every time I hear it. There are many versions of “Baby, It’s Cold Outside” but Dean Martin’s version is my favorite. 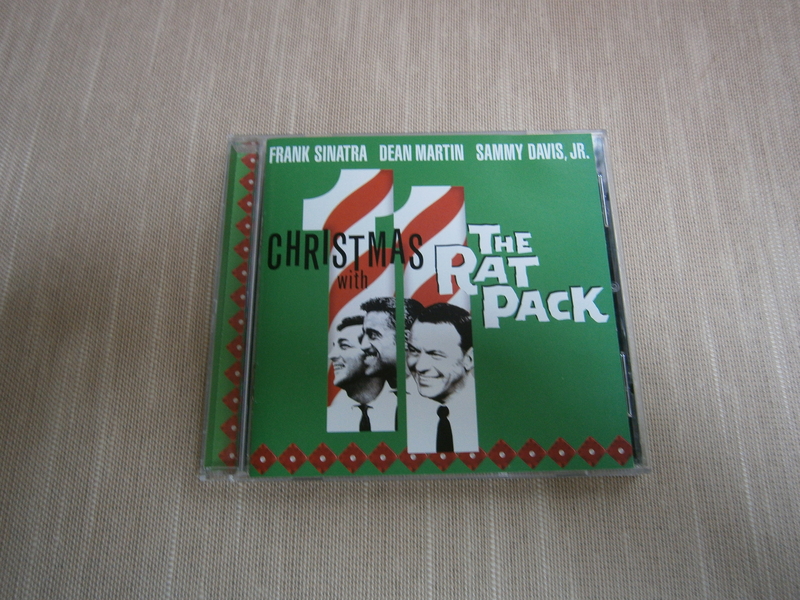 It is also on the CD “Christmas with The Rat Pack”. Several of the lyrics (really, the whole scenario of the song) are outdated but I still like this song. The lyrics that always get me are the mention of death from pneumonia if the girlfriend leaves, very romantic. I put Louis Prima in the same category as Lou Monte (see my post on Lou Monte in Happy Month https://guitartrain.wordpress.com/2013/10/03/happy-month-on-the-guitar-train/ ). Louis Prima’s novelty songs are fun like Lou Monte’s songs. “Shake Hands with Santa Claus” is just a fun, upbeat song. It can be found on the CD “Mob Hits Christmas” which sadly doesn’t contain Lou Monte’s “Dominick the Donkey (The Italian Christmas Donkey)”, another classic Christmas novelty song. 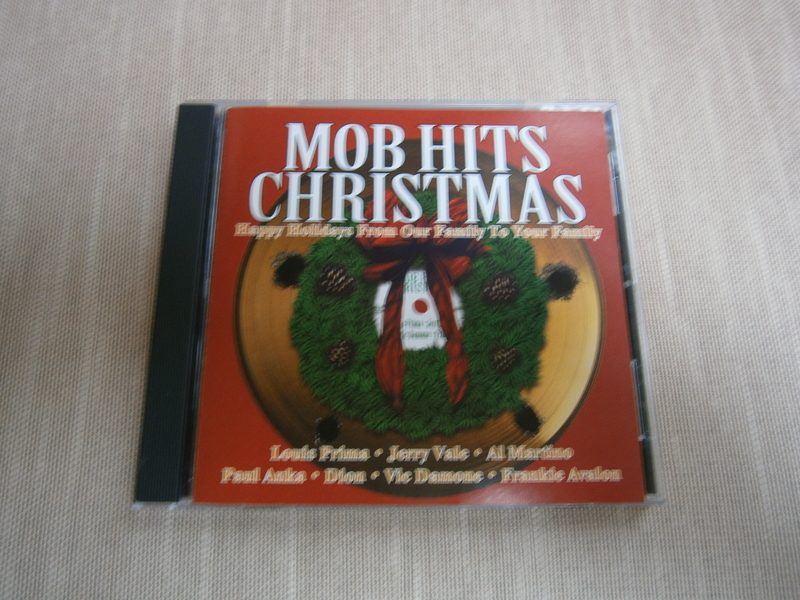 That song is on the first “Mob Hits” CD which was released before the “Mob Hits Christmas” CD. There are many versions of “Baby, It’s Cold Outside” but Dean Martin’s version is my favorite. It is also on the CD “Christmas with The Rat Pack”. Several of the lyrics (really, the whole scenerio of the song) are outdated but I still like this song. The lyrics that always get me are the mention of death from pneumonia if the girlfriend leaves, very romantic. Enter your email address to hop aboard the Guitar Train and receive notifications of new posts by email. All Guitar Train passengers should keep in mind that anything posted on the Guitar Train blog must NOT contain profanity or ethnic, racial, gender, or physical insensitivity. Anyone who violates this will have to disembark at the next stop on the Guitar Train and will not be allowed back on the train. © Quirky T and The Guitar Train, 2012-2019. Unauthorized use and/or duplication of the material and photos on The Guitar Train blog without express and written permission from Quirky T is strictly prohibited. Excerpts and links are allowed, provided that full and clear credit is given to Quirky T and The Guitar Train. Thank you.